The purport of both these Ahadith is quite plain. It means that being merely hungry and thirsty is not by itself Ibadat but an instrument of performing real Ibadat. 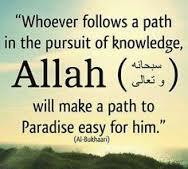 And real Ibadat consists in not violating the law of Allah for fear of Allah, and for the love of Allah an eager pursuit of every such work as would please Him, and lastly, avoidance of satisfying corporeal urges as far as possible. Whoever remained heedless of this real Ibadat, unnecessarily caused inconvenience to his stomach with hunger and thirst. Why should Allah need to make him merely give up food and water for twelve to fourteen hours? The reference to faith implies that the belief in Allah with a Muslim should remain fully fresh in the mind of a Muslim, Ihtisab denotes that man should be desirous of only Allah’s pleasure constantly keeping an eye on his thoughts and actions to check if he is doing anything against the pleasure of Allah. “A penitent is like one who has, as it were, never committed a sin at all” this Rasulullah ﷺ said. 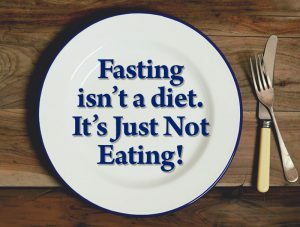 “Fasts are like a shield (just as a shield is meant for protection from the enemy’s assault, so is fasting for protection from Satan’s attack). Therefore when a man observes fast he should (utilize this shield and abstain from disorderly behavior. If anybody abused him or quarreled with him, the person who keeps fast should tell him: “Brother, I am fasting (do not expect from me that I shall take part in such activities of yours”). Rasulullah ﷺ has directed in other Ahadith that man while fasting ought to do more and more good works and should be eager to perform benevolent acts. Particularly during fasting, he must develop with full intensity a sympathetic sentiment for his other brothers because being himself in the throes of hunger and thirst he can all the more realize what is befalling other slaves of Allah in their plight of destitution and misery. It is related by Hazrat Ibn Abbas (may Allah be pleased with him) that Rasulullah ﷺ used to become especially kind and benevolent during Ramadan. No beggar in that period went empty-handed from his door, and the slaves secured emancipation.